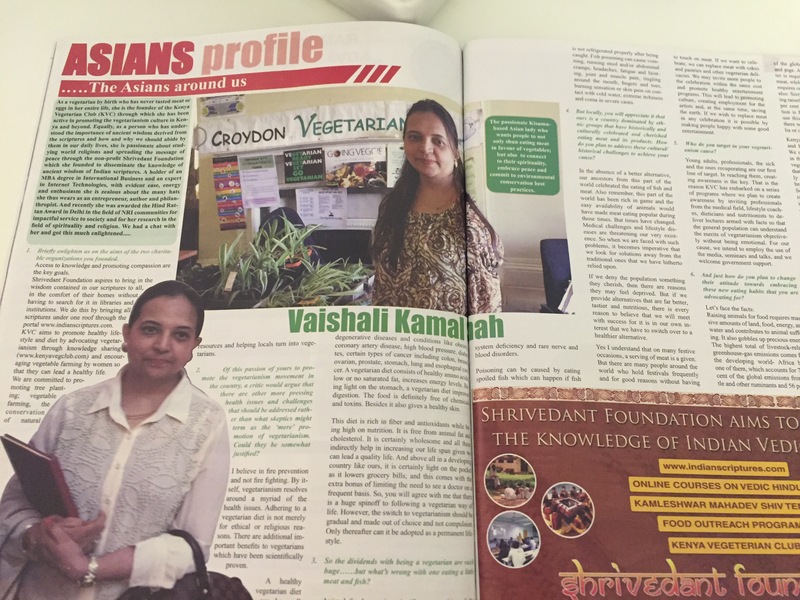 An article about Kenya Vegetarian Club in The star Newspaper in Kenya. 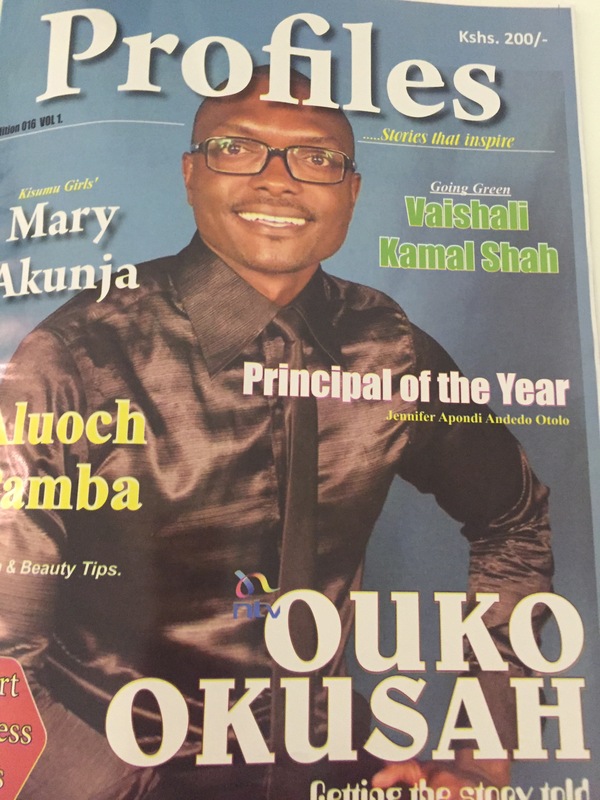 It was an interesting interview taken by Obat Masira who wrote about Kenya Vegetarian Club and its activities in detail. It is always a delight to get interviewed about my favorite subject in such a great depth. More than 400 needy children drawn from Kibigori area, Muhoroni in Kisumu County line up for what they like most, a sumptuous meal and sweets every lunch time provided by Shrivedant Foundation. The Foundation built the original Kamleshwar Mahadev Temple, Kibigori more than 100 years ago before the facility was transformed into a modern shrine in July 2013 but has since become a blessing to hundreds of children from poor families. Vaishali Shah, the chairperson, Shrivedant Foundation said the motivating reasons that informed establishment of the Hindu temple in the remote part of the County has now turned the shrine into a beacon of hope for the many children and families through the feeding programme. Shah said the Hindu community felt compelled to be part and parcel of the expansive Western Kenya community but with focus on the less fortunate in society who could hardly afford three square meals a day. “We wanted to do something unique as the Shrivedant Foundation which is a family trust set up by myself and my husband resolved to add value to the lives of local residents, particularly children”, she confided. The foundation also conducts medical camps; donates household utilities alongside the feeding programme which has become popular with the children and other stakeholders who are already considering taking up other roles for the common good. 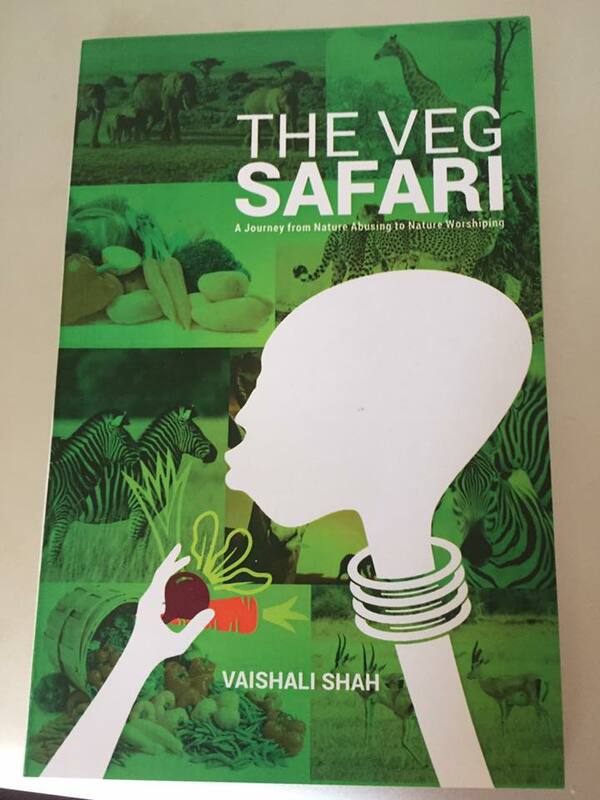 Shah said they also give seed donations, train local residents on vegetable farming and tree planting even as Shrivedant Foundation spearheads the unique Kenya Vegetarian club that has attracted many people who don’t eat meat, fish and other related products. The chairperson commended Kisumu Governor, Jack Ranguma and County Commissioner, John Elung’ata for their unwavering support including security to the facility and children amidst the expansive sugarcane plantation. Shah revealed that the foundation has a major development agenda for the area with the sole aim of creating employment and wealth for the local community with a view to transform their economic status. “We plan to build shops for medical and household goods to enable our people access quality services like health, education, water as part of our commitment to service to humanity”, she explained. I am feeling good that I have something new to share every week. 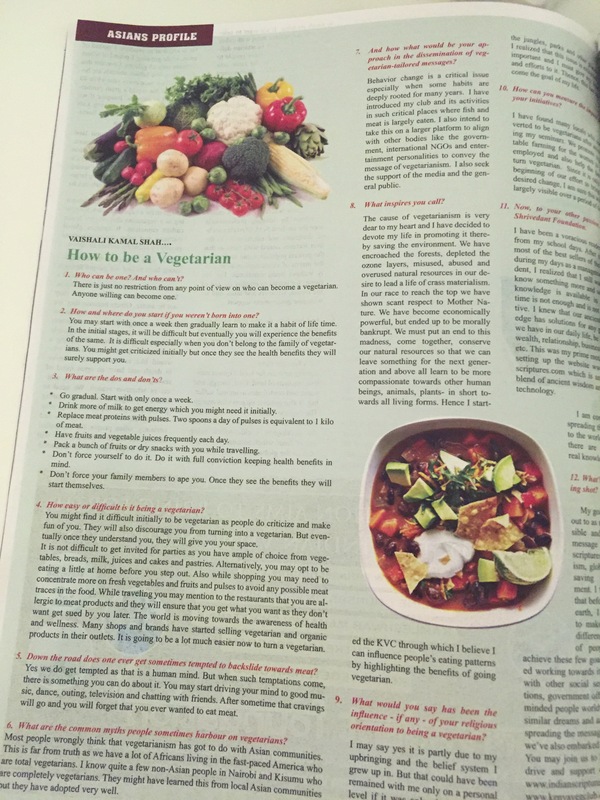 Kenya Vegetarian Club got featured in one of the reputed magazine in Ghana featuring the work we do in the field of Vegetable Farming and Vegetarianism. It is truly my pleasure to associate with the team who also featured some of my articles about the effect of meat production on environment.